The Kawkawa Bridge, a Hope, B.C. 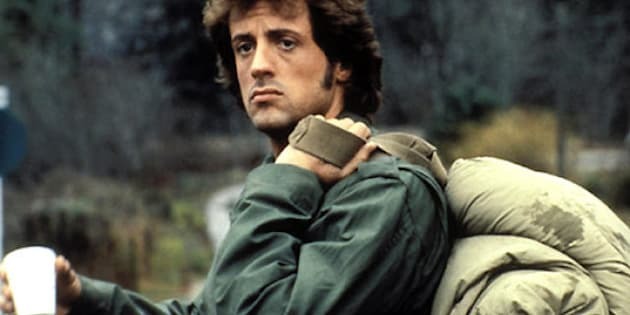 bridge, made famous for its use in the original Rambo film 'First Blood' is slated for demolition. For years, the bridge has been a tourist draw for the small B.C. town reports local paper the Hope Standard. "We all see this as an important anchor piece in what we offer here," said Inge Wilson, manager of the Hope Visitor Centre "It's become a cult classic and people are just very intrigued by the film and scenery that they saw in the film, and they want to relive the movie magic." A significant effort was made to save the bridge, with representatives from actor Sylvester Stallone offering to buy and relocate the bridge to a Planet Hollywood. But the timbers of the bridge were creosote-soaked and not allowed to cross the border, reports the Globe and Mail. Fans of the film got one last chance to visit the iconic bridge at an event held on Sunday. Dubbed the Final Take, the event featured props and vehicles from the film. Sylvester Stallone couldn't attend the event but the organizers did hold a Rambo look-alike contest that got contestants from as far away as the U.K. and was won by a rather interesting contestant, an English bulldog complete with a Stallone-esque mane.